← Ca’ Di Pian, Barbera d’Asti, La Spinetta, Catagnole Lanze DOCG, Italia, 2010, 14% abv. Breakfast wine is the best stuff. Here’s a version that is so reasonably priced, you can buy two! Bottled at Mionetto at nelle Cantine di Crocetta del Montello in north eastern Italy, this is a light, bubbly Prosecco made from the white Glera grape. Prosecco is extremely popular – so much so that sales increased in Canada by 266% between 2006-2010. And there are literally oceans of the stuff still being produced for markets around the world. It’s sparkling wine that is not usually of the highest quality, but the price is right and it almost always works as an easy accompaniment to brunch or evening appetizers. 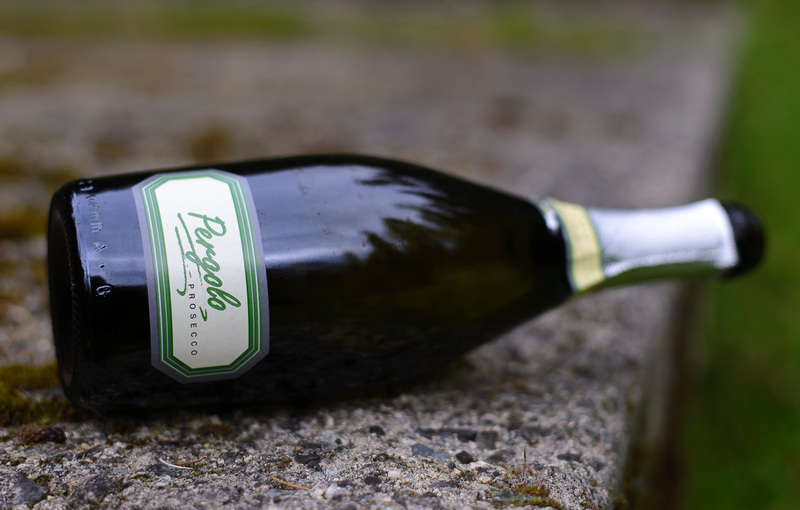 The colour of palest lemon with a light mousse, the Pergolo has an almost neutral nose of soft citrus and melon. It is dry but offers a definite fruity sweetness with average acidity and light alcohol. The moderate flavours include lemon mousse and meringue with honeydew melon, green pear, with a bitter almond and melon rind finish. WSET Good. A simple, but tasty and light drink – enjoy now; don’t age. This entry was posted in Glera, Italy, Prosecco, Prosecco, WHITE and tagged bubbles, bubbly, Glera, Italy, Pergolo, Prosecco, sparkling wine, Treviso, Valdobbiadene. Bookmark the permalink. I have been enjoying my Prosecco over the last few years and now you have me wondering if I would like a finer quality sparkling wine, what should I chose instead??? Ooh! There are so many options for you, especially as you’re near Napa/Sonoma. You can get awesome sparkling wines from the Russian River Valley (think Iron Horse Winery), the Alexander Valley (Roderer Estate, connected with the French Champagne House), and Carneros (Gloria Ferrer is a great option – and is connected with their House in Penedes). They have all sorts of price points – just make sure you look for something made in the traditional method and not one that has simply been injected with C02. Let me know what you get! I’m off to a Christmas wreath making party this morning and this was very useful! TY!